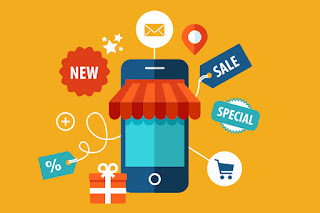 The term point-of-sale materials (POS materials) is used as a definition of specific types of sales promotion tools (including display stands, mobiles, posters, banners, shelf edging, dummy packs, and display packs), intended prompting the buyer to make a purchase exactly at points of sale. POS-materials are intended to draw the customer’s attention to a product or a special event and promote the product via advertisement information. Marketing researchers argue that more than half of purchasing decisions are made exactly at the point of sales. So what you can do to increase purchase decisions in favor of your product? Start by familiarizing yourself with tips for effective point-of-purchase marketing below. Maintain the optimum amount and location of POS materials at each store. According to marketing research, POS-materials are effective when they are used for no more than 15% of products in a store. So, the number of POS-materials for your brands that can be negotiated with the retailer is always limited. When choosing from your product line goods, which are going to be promoted using POS-materials, consider the type of POS and the type of demand for specific products. For example such types of POS as stickers, price tags and shelf edging is reasonable to use for the products already having the most advantageous location in the store, so the maximum number of customers can reach the information. To promote products that tend to trigger impulse buyers or your best-selling products, negotiate display stands placement in the most advantageous locations. Make POS-materials helpful for the customers. POS materials are designed to introduce products and motivate customers to make a purchase. A customer, who receives additional information about the product, is more inclined to buy it, if he gets all the necessary information in place of the sales. Take into consideration that a customer is uncomfortable from both a lack of information, as well as from too much. Therefore, to make your POS-materials as efficiently as possible, conduct customer survey in the first instance to get valuable insights on what they want to know about certain types of your products. Develop simple and clear POS materials. No matter how much information your POS-materials contain, it should be equally clear to each customer in the store. This principle involves understanding the information you want to put in your POS by a 14yo with an average level of intellect. Pay special attention to the price tags placement and price compliance. The price of the products should be clearly marked and visible to the buyer. The price tag should not cover the necessary information. Keep all the displays pleasant to the eye. It’s highly important to eliminate the possibility of discomfort in the perception of your product. Poor colors and color combinations, inappropriate sound effects, indigested layout and incomplete representation may force the buyer to cancel the purchase. All the shelves should be clean and tidy, displays – safe and sound. All the assets must be appropriate for the products. Intelligent distribution of your POS materials requires a system that knows your products, types of POS you use and possibilities for placing POS materials in every store you operate. To improve the efficiency of your POS marketing management, opt for the software tools that enable you to automatically track, manage and measure your point-of-sale marketing programs. VisitBasis merchandising software allows companies to easily manage their POS materials, conducting more efficient marketing campaigns, differentiating them to specific store needs and always having the right material at the right time at the right store. VisitBasis merchandising software is available for free on www.visitbasis.com. Schedule a free demo today to learn how VisitBasis merchandising software can improve your POS marketing management.